The shocking techno-thriller that cements Daniel Suarez’s status as the heir to Michael Crichton and Tom Clancy—a terrifying, breathtaking, and all-too-plausible vision of the world’s near future. 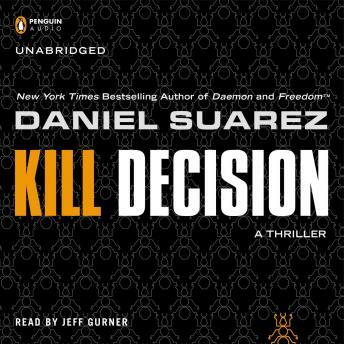 Well paced and exciting thriller for Daniel Suarez fans. Decent character development and the tech is approachable and grounded in reality. There are a couple of points where the number of collective coincidences test the boundaries of credibility, but the story moves past them before you have too much time to think about them. At first I wasn't sure but very soon found this book riveting and well worth the listen. If you like action and up to the minute tech this is for you. Good narration too! I have listened to many of Daniel Suarez's books and they are very good.